When it comes to Ichigo Kurosaki, he’s known for some awesome looks and forms which compliments all of moves. 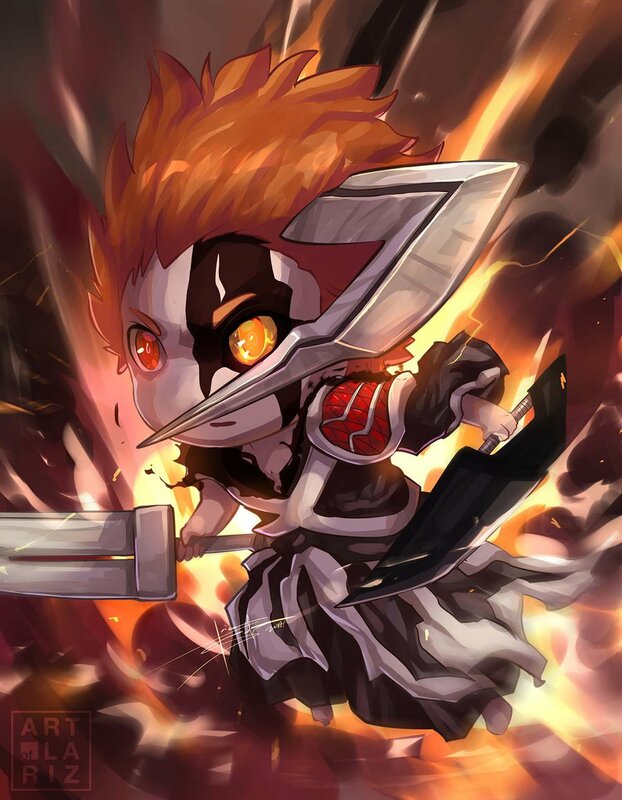 With this specific one, we see a chibi version of Ichigo alongside his Full Hollow form, as well as including his latest form alongside both swords within this form. If you like this fantastic artwork of Ichigo Kurosaki as a chibi by LarizSantos, be sure to check out his other work which includes a lot of original content related to Bleach. They are very talented and have shown that here. If you like it check them out, otherwise be sure to share this with other fans of Ichigo as well as Bleach.